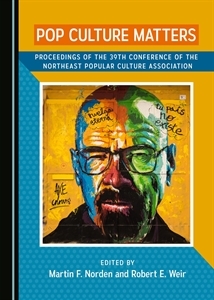 Americana: The Institute for the Study of American Popular Culture invites submissions in American Studies and American popular culture for our journal. We welcome a variety of critical appraoches on subject matter such as film, television, streaming shows, YouTube shows/channels, sports, bestsellers, venues, fashion, emerging popular culture trends, pop culture and technology, music, politics, style, and other related pop culture topics. Please keep your name off the submission itself as we use the double blind peer review process. Thank you. We look forward to reading your research and writing.